This piggy bank is a great way to encourage your customers to save some money. Blue translucent plastic with great imprint area, this little piggy is suitable for banks, credit unions, schools and anyone trying to save a few coins. 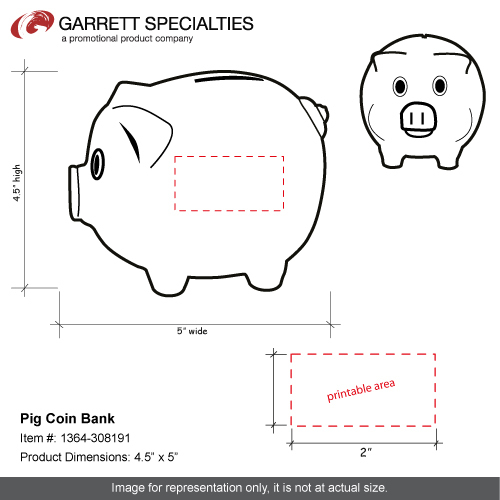 This piggy bank is a great way to encourage your customers to save some money! 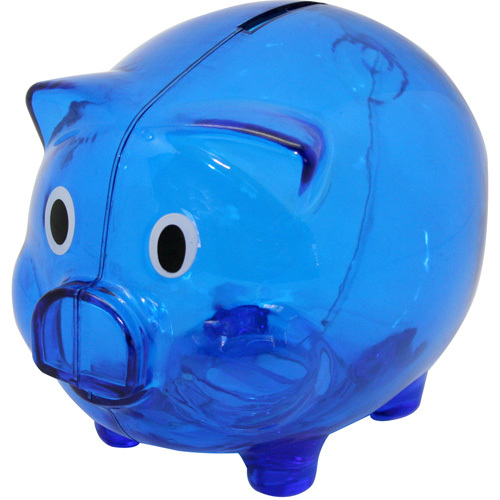 Blue translucent plastic with great imprint area; this pig coin bank is suitable for banks; credit unions; schools and anyone trying to save a few coins. Products are not intended for use by children or pets.